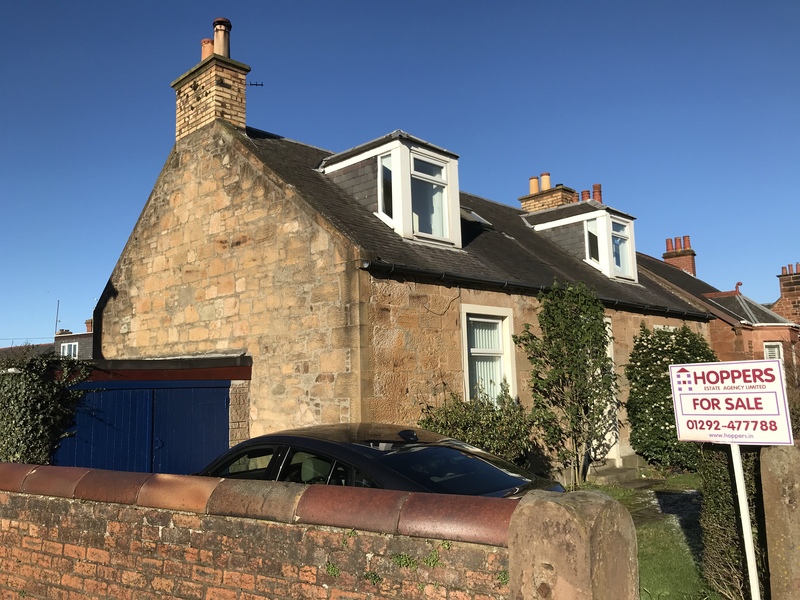 Hoppers Estate Agency are delighted to present to the market this charming and deceptively spacious traditional detached property on Ayr Road which will appeal to both families and those looking for predominately on the level accomodation but without comprosmising on space. 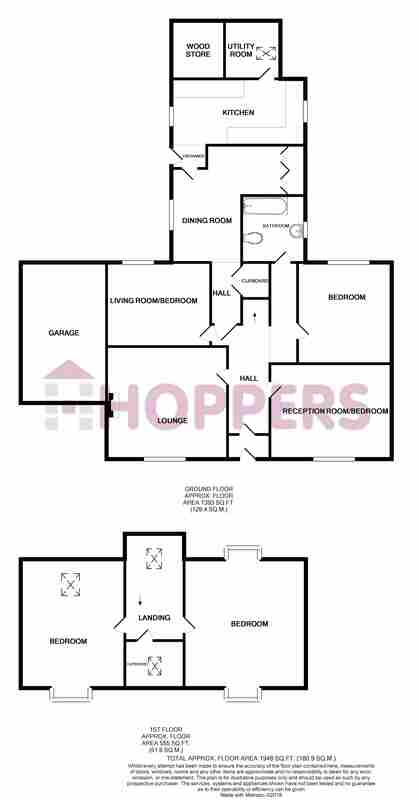 The flexible layout comprises lounge, 4 double bedrooms, dining room, kitchen with utility off, and bathroom. The grounds include a large mature South-West facing rear garden, garage off street parking, garage with light and power, and wood store. Viewings highly recommended. 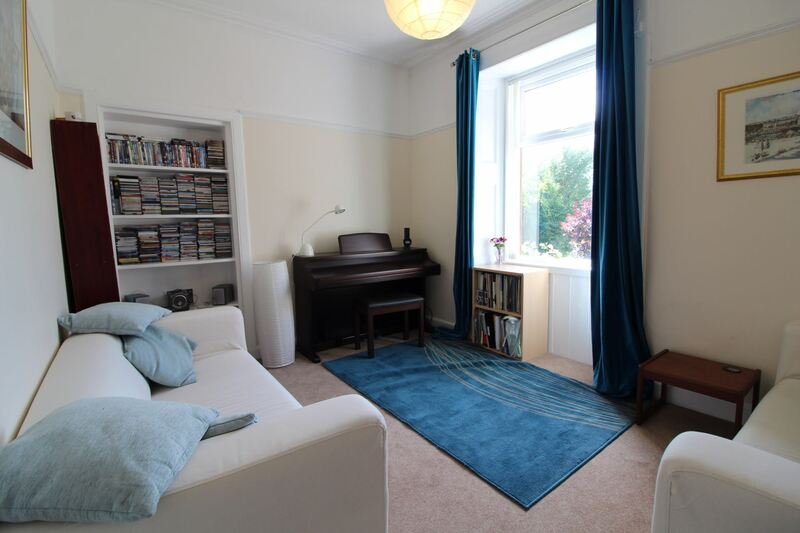 The property is neutrally decorated throughout with light walls and carpets while retaining original features such as cornicing and woodwork. 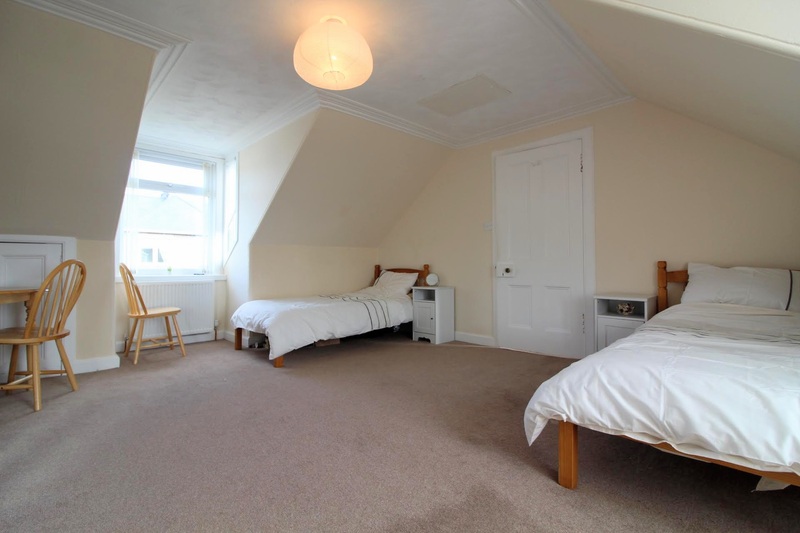 The accomodation is primarily on the ground floor. With a large welcoming entrance hall with stair case to the upper floor and direct access to the main ground floor apartments and bathroom. 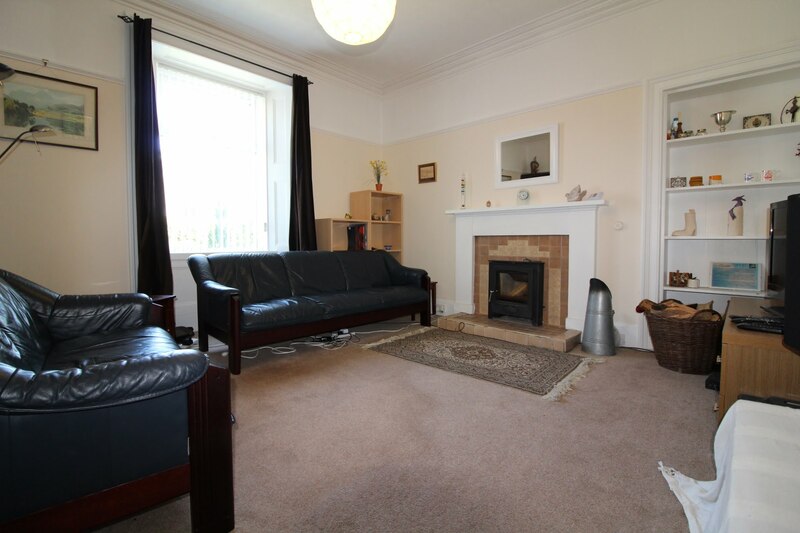 The spacious lounge is front facing and benefits from a recently installed wood burning stove. 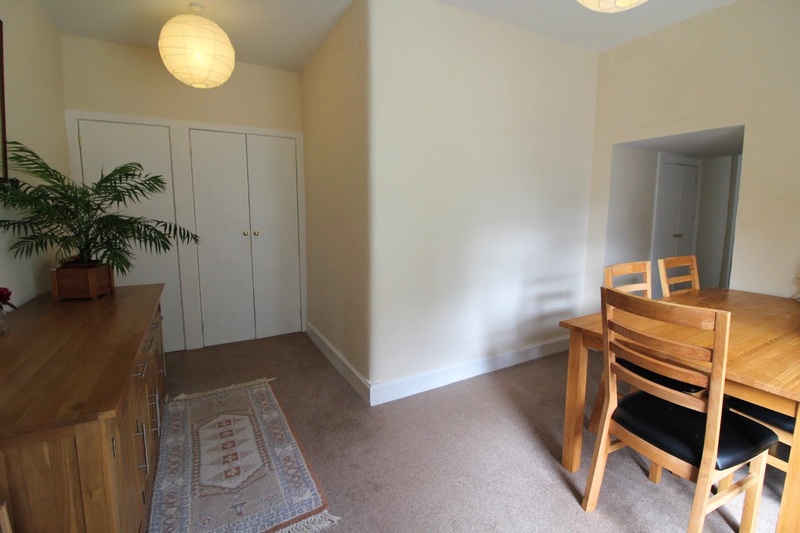 Three additional well propertioned rooms provide 2 double bedrooms and sitting room which could also be used as a 5th bedroom. 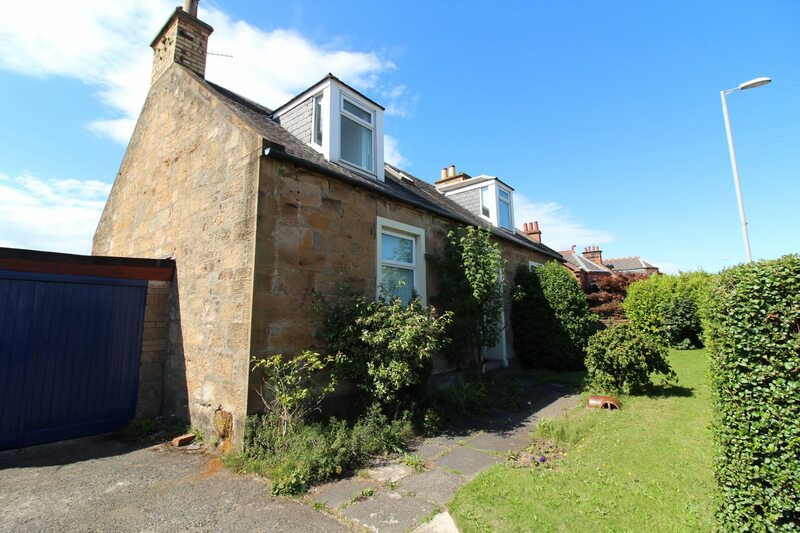 The property extends into the rear garden in a traditional cottage style which currently comprises dining room, inner hall, kitchen, utility room, access to rear garden and built in storage. 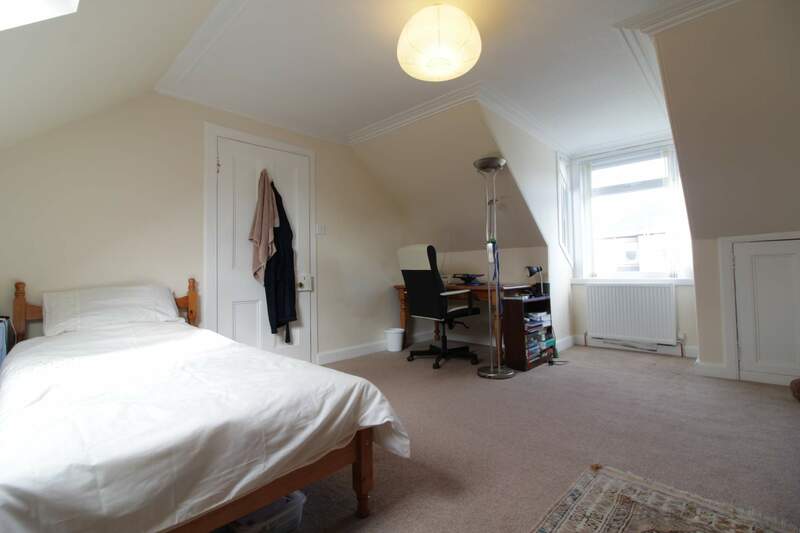 Depending on buyers preference and subject to building warrants, this area could be reconfigured as a large open plan kitchen/living space enjoying open aspects to the rear gardens. 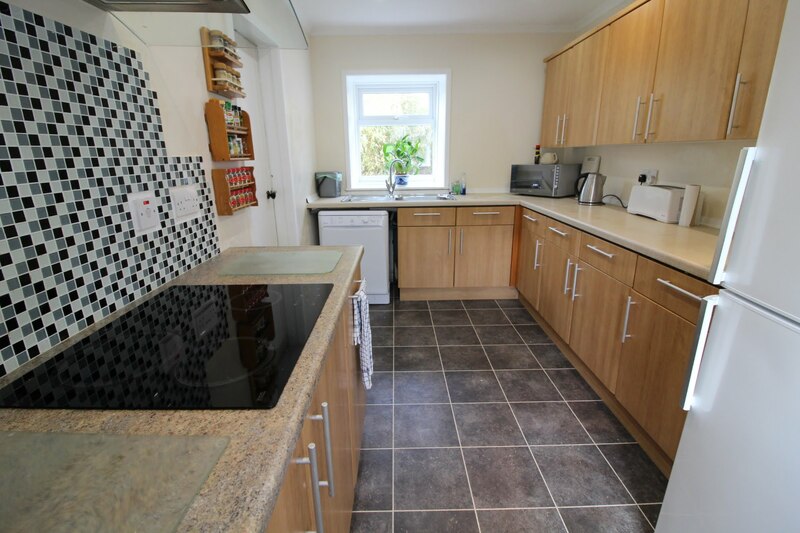 As currently configured, the dining room has space for family dining while the kitchen is well proportioned with Karndean flooring, an ample amount of wall and base units offering good storage and worktop space with the benefit of a utility room off. 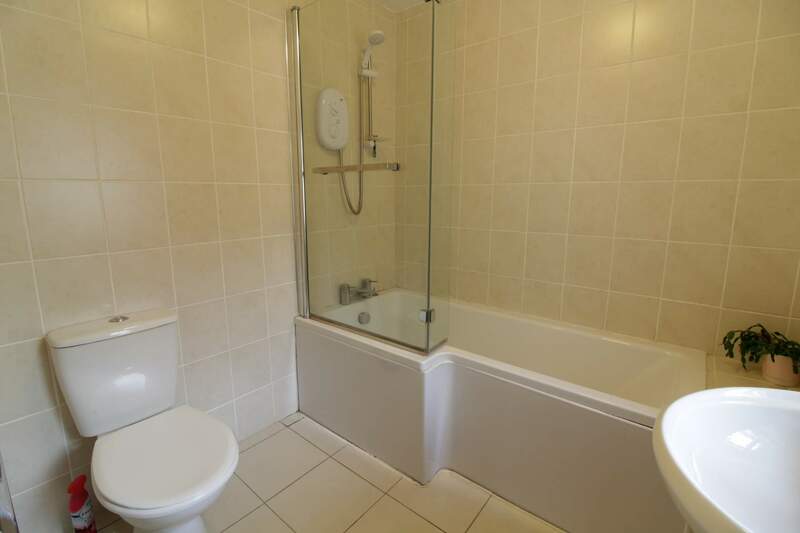 Completing the ground floor is a family bathroom, with suite comprising wash-hand basin, toilet and bath with shower above. 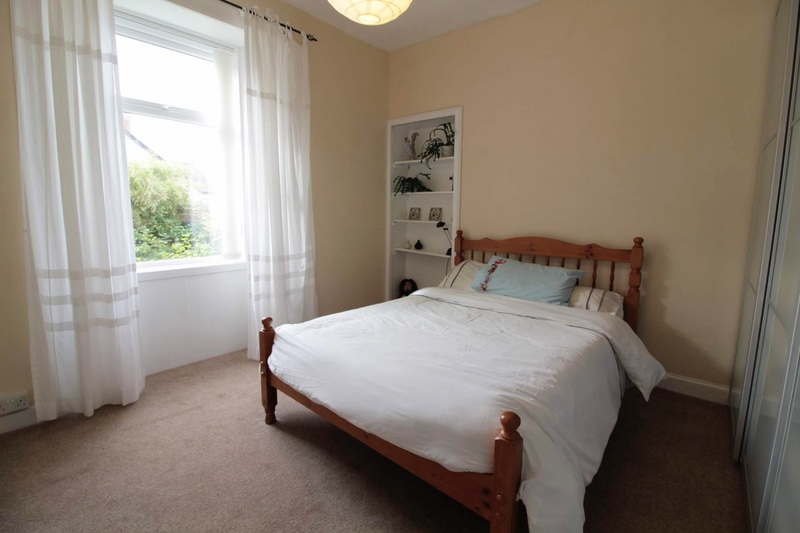 Upstairs are two large bedrooms which offer great flexibility due to thier size and would make impressive master bedrooms with ample space to add an en-suite or alternatively could be used as an additional space and take advantage of the rear facing views to Arran on clear days, and the beautiful evening sunsets. 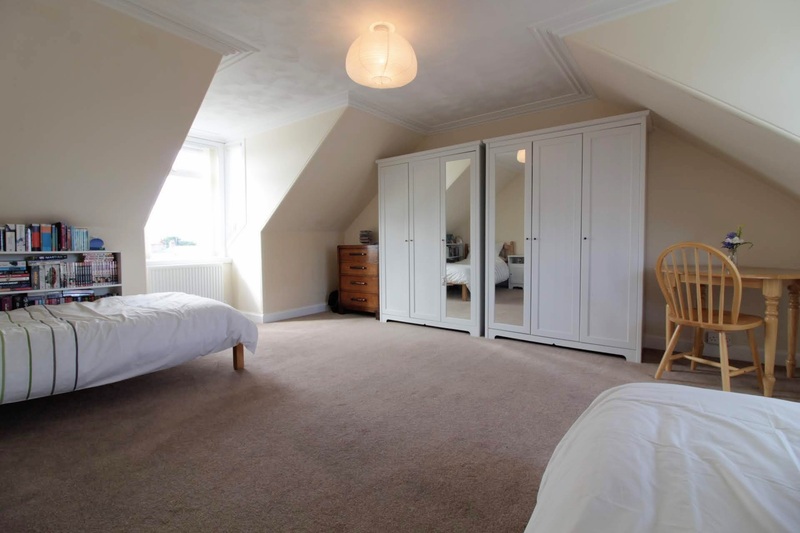 One room has dual aspects to both front and rear while the other is front facing with velux window to the rear. 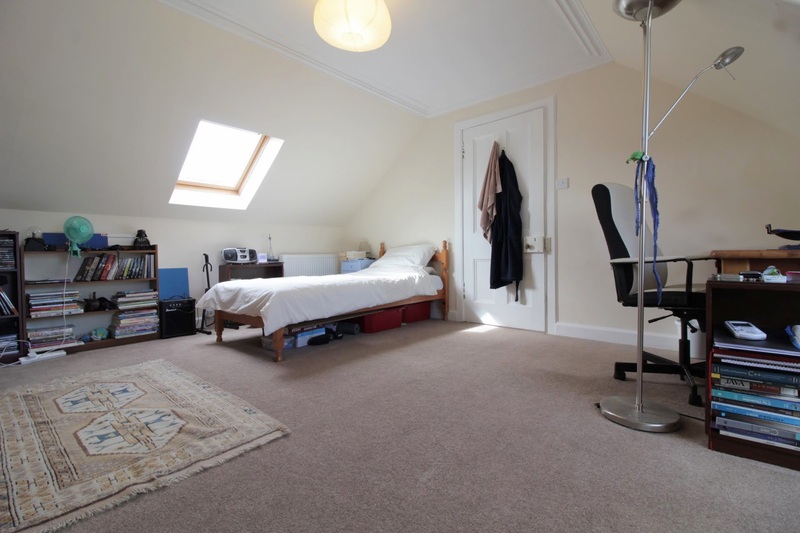 The first floor landing is a bright space with rear facing velux window and a handy box room with front facing velux window. 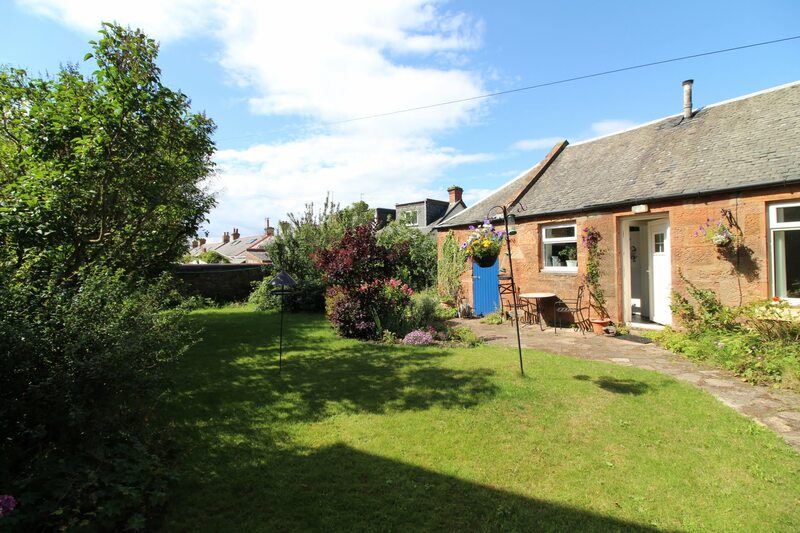 The property benefits from front and rear gardens and garage in addition to off street parking. The front is modest and mainly laid to lawn. To the side is a driveway, access to rear garden and garage with light and power. The sunny South-West facing rear garden is large and fully enclosed, and mainly laid to lawn, with mature plants and bushes surrounding. There is also a pond with 2 species of frog and a range of fruit trees and bushes including Victoria plums, pears, apples greengages, raspberry and redcurrant. 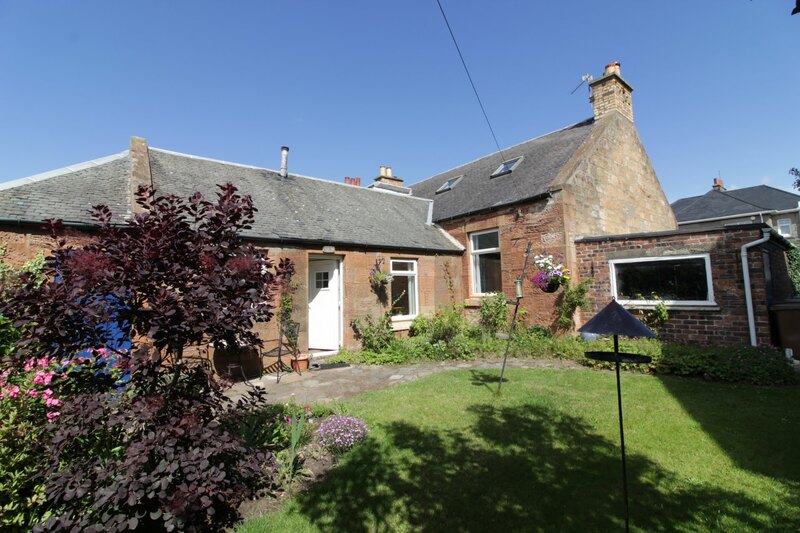 There is a patio area at the back door, ideal for outdoor dining or entertaining. There is also access to a wood store at the rear of the garden, next to the utility room.